There is no need for a "can't cook, won't cook" approach with these 5 incredibly simple but effective cannabis edible recipes. Learn to love spending time in the kitchen as your guests enjoy a taste sensation that leaves them riding waves of euphoria. Or keep it all to yourself, we won't judge. Cheesecakes and cannabis were meant to be a couple. Here, we provide you an amazing New York cheesecake recipe that shall induce delicious experiences. Every toker will have, at one point, experienced the sudden impulse to raid the pantry or inhale a full pint of Ben & Jerry's. This is normal, and nothing to beat yourself up over. Just remember, bad food is bad for you. Zativo has compiled a short list of healthy snack options for you to indulge in when the munchies rear their ugly head. Edible cannabis products are becoming increasingly popular because of the different effects of consuming cannabis. Smoking marijuana creates a more immediate high, while consuming it edible slows down both the impact of the high as well as extends its effect. Banana bread is a tasty, sweet, and extremely versatile snack. So what better way to infuse some cannabis into your cooking than by making a “baked” banana bread loaf! It will have you comfortably buzzing in no time at all! Cannabis flour is the perfect foundation for all your cannabis-based baking. Whilst you may not be able to eat it as it is, it unlocks a whole world of interesting cannabis cuisine. So here is how to successfully make it. Nothing beats a good cannabliss ball! This healthy, sweet and portable snack will ensure you have that perfect picnic treat to get high while you are on the go! To top it all off, they are super easy to make! Next in our Cooking with Cannabis series is a delightful and discreet treat that is sure to thrill any cannabis enthusiast with a sweet tooth. 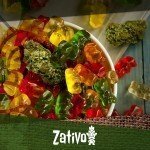 The tasty and succulently ganja gummy bear! 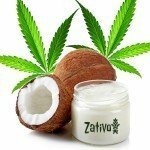 Coconut cannabis oil is a vegan-friendly cannabis infused delight that can be used as a base for all sorts of cooking and experimentation. We certainly use it a lot, and it features in many of our recipes, so learn how to make some for yourself right here.